Coming from working in restaurants for half my life I have become used to using certain tools when cooking regardless of my experience or knowledge. I was recently asked by Eat Smart to review their newest product - EatSmart Precision Elite Thermocouple Food Thermometer w/ Backlit Display & InstaRead Technology. I was more than glad to add to my list of kitchen gadgets. However, that doesn't mean I prefer to make my educated guess and especially when my cooking reputation is on the line. With how frequently I cook for family and friends, I don't want to take chances on anyone's health. The Precision Elite Thermocouple Food Thermometer has a 1.5mm folding step down probe which instantly reads the temperature (ranging from -40 to 572 degrees Fahrenheit). Not only does it measure the temperature in 3 seconds or less but the step down probe helps reduce the puncture mark size in the food. This one is so much easier to use than the two I previously had. I always had trouble temping on the grill because of how short they were or how long it would take to read properly. 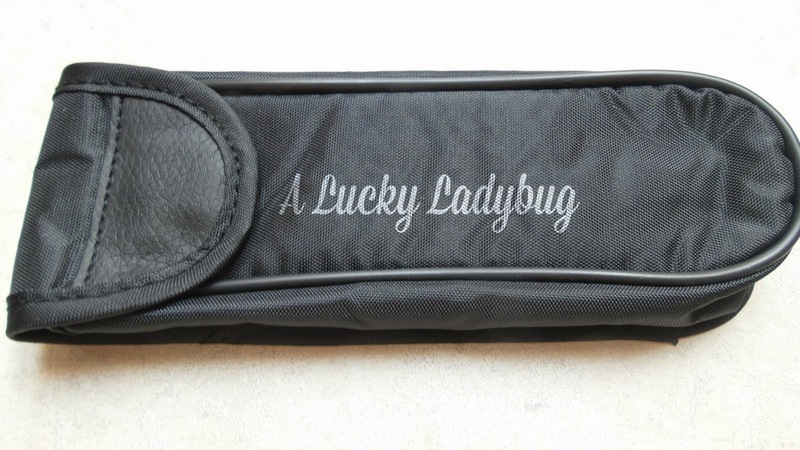 This even comes with a anti-microbial nylon case so I can carry it wherever I want easily. Regardless of where I am, you will find me using my new thermometer to be sure my meat has been cooked to temperature. 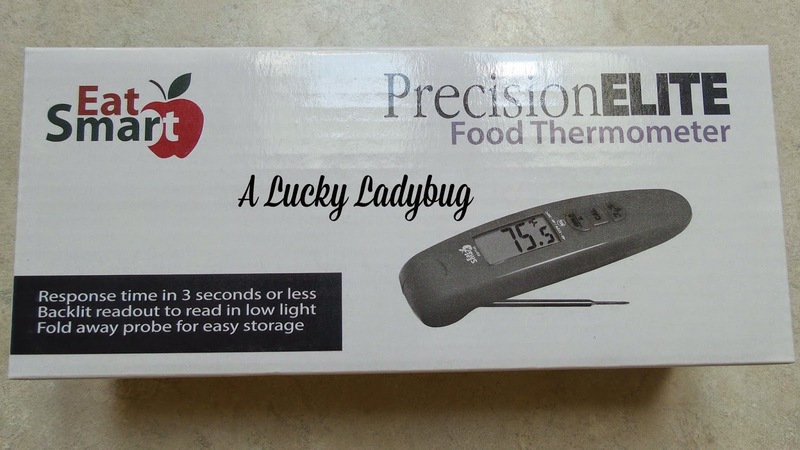 Giveaway: EatSmart is going to give one of A Lucky Ladybug's lucky readers a Precision Elite Thermocouple Food Thermometer of their own! It depends upon the item and if I temp them. I do currently temp them when called for. I only use a thermometer for thicker meats like roasts and whole chickens, then go by the temp ranges on the thermometer. No, I do not currently check my temp of foods at home. I'm not sure of the exact temps of the meats either. I just do my best at guessing it is done. 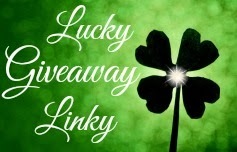 I love reading your blogs and entering your giveaways. 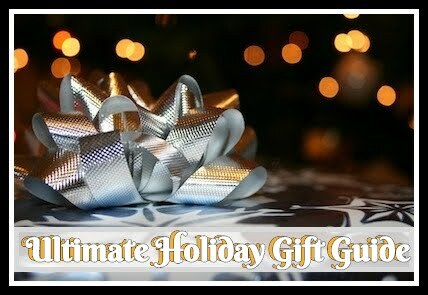 The only thing that I would change would be the way you subscribe to your blog posts. I lost out on many postings as feedburner does not deliver to yahoo addresses anymore. I switched my address to gmail and i'm hoping this works so that i can start getting feedburner emails again. Now i am always going back and fourth between yahoo mail and gmail. Thank you for actually posting this. I had no idea yahoo was no longer available. Ive been trying to do a newsletter but havent found the time just yet. This might be the kick I need! I like the variety of topics o read about. I liked reading the "Growing into Green" topic since I wasn't a tree-hugger type person either, but have realized many of the things you mentioned and we are now quite a green family. Yes, I have to nudge others in the home sometime but for the most part we are all on board. I use a meat thermometer. I have tested in my old freezer in the past, but not now. I don't have a food thermometer but I have been wanting one and I know pretty much what the safe food temps are. I do know the temp ranges and I temp everything. I'm very obsessive about it. I do use a temp to test my food's doneness. I have a sheet on the fridge that says what the right temps are. I don't cook, but my husband always used a thermometer. Our last one broke, so we're looking for a new one. He checks temp especially on steaks. I usually only temp roasts and other large meats but recently my thermometer stopped working. It listed all the safe temperatures right on it. I have a pretty good idea of safe temperature food ranges, and I currently temp my food. I do check our meats like chicken and beef to make sure core temperature has reached the safe range. I only use a meat thermometer when I am making a big turkey. I do use a temperature on chicken but wish I had a better way to test it. I don't currently temp my food products at home. I do use a thermometer to temp meats, I have a general idea of safe ranges. I don't test my food temps. I'd love to have a thermometer so that I could be sure that my food is cooked safely. I do not currently take the temp of my foods, but my mom always tests the temp of roasted meats. I don't know the safe temps of cooked meats, but I have an old meat thermometer that I can look at if I need to know. My hubby does this all the time, as he also does all the cooking. No, I don't currently temp my food at home nor do I know the safe temps to use. I check the temp of some things, like a turkey or pork roast. I don't have the temps memorized but the safe temp is found easily. Most of the time I don't check. I do know the safe temps of meats. I sometimes temp them if it is something that I do not usually make! No I dont, I know I should but I have never used a temp. My Honey/Hubby has been in the restaurant business (unofficially) since he was like 8 years old and he knows everything there is to know about food safety and temperatures (almost to a fault!) He's also been cooking long enough to have a very good sense of touch and FEEL when meats and poultry are done ~ but I don't and we'd both appreciate a great thermometer like this one! (I did buy an inexpensive one a few years ago but it broke and never worked well anyway ~ and the old fashion one is slow,hard to read and has to be recalibrated all the time! Thanks. I do not currently temp my food products at home.I also do not know what the safe ranges are for each meat to be cooked. I've worked in the food industry, so I know the safe temps for different meats. I have a cheap dial thermometer that I use at home. A nice digital one like this would be great and much easier to use! Only check a chicken and turkey for temp. Not really sure other than juices run clear in chicken to be done. No, I have never owned a food thermometer before. I am not sure of the safe temperature ranges. I really just guess. I'm assuming I've been doing ok because no one has ever gotten sick from my cooking but I really wish I had a thermometer! I never even heard about any of the until now.. No I don't temp but I think I would like to start. I don't but know I should. But I am familiar with safe temps. yes, we temp all our meats when we are grilling. I don't temp my foods because I'm a vegetarian and pretty much everything I eat can be eaten raw. I don't really check the temps but know about them. I currently do not temp meats however after working in the food industry for several years, I do know correct temps for different meats. i do not check the temp of my meats; but yes i know the correct temps. We don't test now and I don't really know the temperatures. We always temp when we're grilling or smoking - our thermometer is marked with temperature ranges to avoid the guesswork! Sadly, I do not. No. I do not temp my food but my husband is a cook and he does when he cooks meals for us. I temp some things, but should check them all. No I have never temped our food but I probably should to be safe. I do not know the ranges for foods. I don't currently use a thermometer for cooking and I really have no idea for what they are supposed to be. I just test by cutting open and checking, but I really should invest in a good thermometer and know for sure. I dont currently but yes I know the right temp for most food. I love to cook.... this is for myself and other's. But I mainly enjoy cooking desserts like Baklava. I do not currently temp my food and I don't know what the safe temps are but I learned a lot from reading your review. 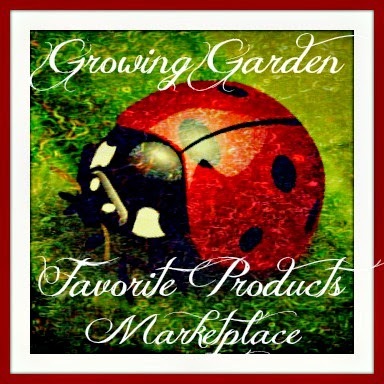 Thank you for the generous review and giveaway. 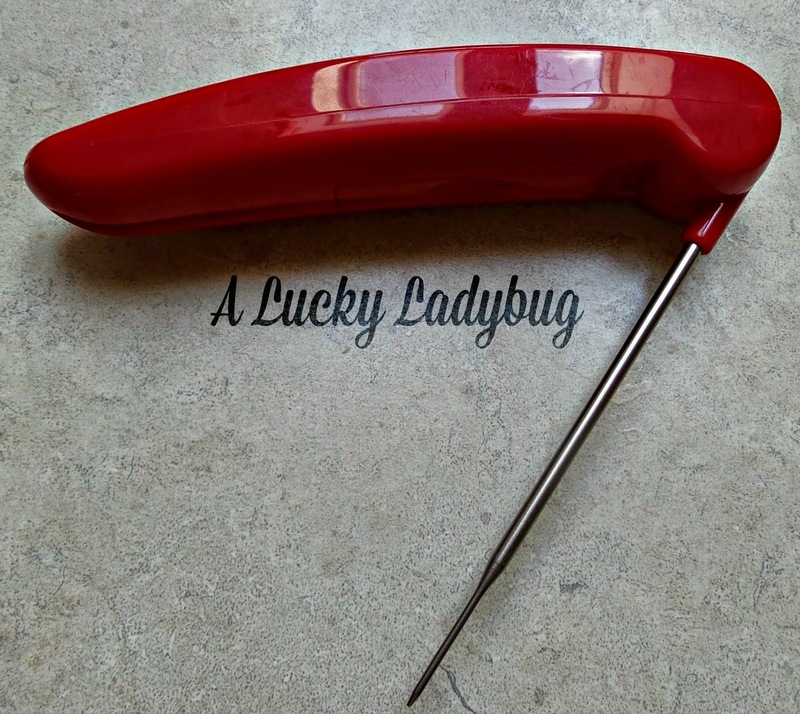 Thanks for the giveaway…we are using an old kitchen thermometer that is not very accurate; generally know the safe food temps !